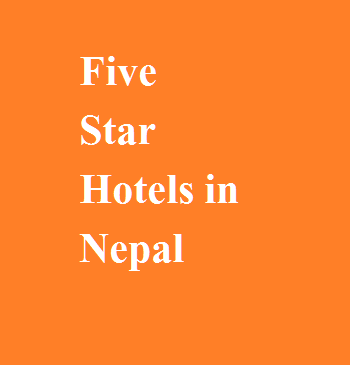 There are total 8 five star hotels in Nepal among them some are described below. Hyatt regency is one of the top five-star hotel in Nepal located in taragaon, bouddh, Kathmandu. It had its opening on 27 September, 2000. This hotel is managed by Global Hyatt Corporation and design and construct by P.G Patki Architects Pvt Ltd. It is built in 37 acres of land with 8 suites and 280 guest room. It is established with the cost of 5000 million and designed in tradition newari style of Nepali architecture. The hotel has acted as a venue for events and conference as well for different NGOs and INGOs. The entrance of hotel is is designed keeping in mind the cultural of Nepal. It is one of the full service hotel. For more info we can visit www.hyattregency.com. Yak and Yeti is a luxury 5 star hotel in Kathmandu located in Durbar marg . it was started from 1st September, 1977. First there was 270 guest rooms and now there is 150 deluxe rooms and suites have been designed to harmonize with the special features of lal Durbar. The room have cozy atmosphere and are meticulously furnished with deluxe room sizes. Rooms are created with an emphasis on the highest quality of materials with smoke detector, safe locks, working desks, LCD TV set with satellite reception, tea/coffee making facility, direct call phone, high speed internet connection and mini bar, it is one of the quite, pleasant and luxury stay hotel for business trip, family trip, honeymoon etc. It is one of the five star hotel located in lekhnath Marga , Kathmandu. It was established in 1955. The chairman of this hotel is Maharaj kumari Rama Malla, manager mr.K.M. Ranjitkar. It has got 10 suites 35 deluxe Room, 53 standard Room. Tarrif for room are single 130 US$, double 156US$, suite 268US$. The conference facility are there is 250-300 capacity in Malla Plaza, and 40-60 capacity for business lounge. This hotel has lavish apartments and suites all with attached bath and shower, air conditioning and heating, international direct dial telephone system, multi channel color television and mini bar. All rooms have view over our awards winning gardens. Is is also one the best service oriented hotel of Nepal. It is one of the well established 5 star deluxehotel in the lazimpat centre of Kathmandu, City, within easy walking distance to the tourist spots like durbar marga and thamel. It is an international standard hotel with the modern design providing dramatic view of surrounding mountain. It also offers luxurious accommodation� including rooftop swimming pool� and many other facilities that offer a level of comfort and style not found in other hotels. The rooms are provided with broad band internet access and equipped with air conditioning and mini bars facilities and other. There are total 160 guests rooms and of eight floors building. It is 9 km drive drive fromTribhuvan international airport .it provides several amentities to its guest. The restaurants are opened 24 hours providing both Italian and oriental cuisine. It has also got bar where guest can relax. It is one of the best hotel providing luxurious services to its guest. It is one of the well renowned five star hotel� lies in� lazimpat ,Kathmandu. It has view to the high Himalaya, the ancient building with its magnificent award winning garden endeavors consists of room property providing multi channel television and music direct telephone , mini bar and pleasing modern decor, high comfort with warm hospitality. It is also one of the best hotel for seminar, family trip , family dinner and many others . it tries to provide best service to its guest . I need too five star hotel job in nepal .